Newly launched for 2012 is the PR12000 model lighting tower from PR Power for the agricultural and mining industries. 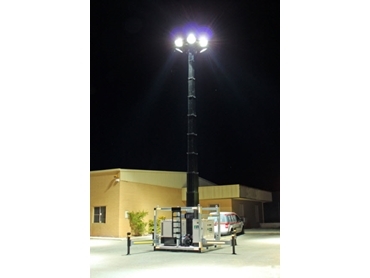 The new PR12000 lighting towers are the largest, most rugged and heavy duty towers in the PR Power fleet. They compliment the already popular PR8000 mine spec lighting towers; producing extra light output with an even greater durability for harsh environments. Contact PR Power for more information about choosing the best fit from its extensive range of lighting towers.